Type 2 Diabetes (T2D) is a chronic metabolic condition that occurs when the body either doesn&apos;t produce enough insulin, or it is unable to effectively deliver insulin into cells. T2D differs from type 1 diabetes in that the body still produces insulin. Because insulin production is defective, blood sugar builds up in the blood causing blood sugar levels to rise. Achieving and maintaining normal blood sugar (glucose) levels can significantly minimize risk of diabetes associated complications such as diseases of the eye, heart, nerves, kidney, digestion, feet, gums, and blood circulation. What Are the Risk Factors and Who is Affected by Type 2 Diabetes? Age, genetics, food choices and environment (activity level, taking medication, etc.) are all factors that can contribute to T2D. 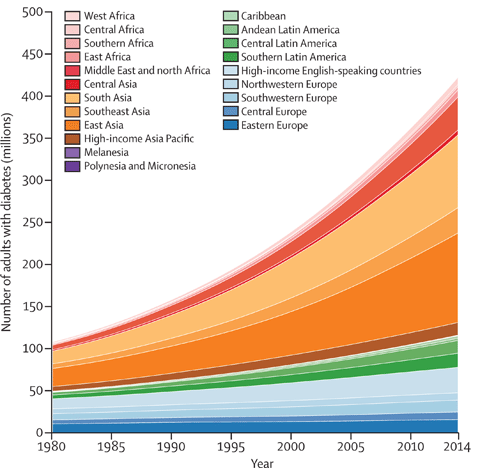 Type 2 diabetes — originally coined adult onset diabetes, and its epidemic, which has plagued us for over thirty-five years — has risen from 108 million in 1980 to 422 million in 2014 (1). Once thought of as an adult disease, type 2 has now expanded to include children. Type 2 diabetes has affected children at the same rate as type 1 in the United States and is growing in other parts of the world: Canada, Japan, Austria, United Kingdom and Germany (2). Japan has seen an approximate fourfold rise in the incidence of type 2 diabetes in 6 to 15 year-olds, and between 8 and 45% of newly presenting children and adolescents in the U.S. have type 2 diabetes (3). These staggering statistics are not just overwhelming because of the numbers, they are astounding because type 2 diabetes can be avoided and conquered simply with healthy diet and lifestyle choices. A1C between 4 to 5.5% (also known as hemoglobin A1c, HbA1c, glycated hemoglobin or glycohemoglobin). A1C tells you your average level of blood sugar over the past 2 to 3 months. Blood sugar level below 100 mg/dl (3.6-5.4 mmol/l). While public associations (American Diabetes Association.) and government agencies (World Health Organization) recommend higher ranges for people with diabetes as shown in the chart below (4), pay attention to the note under the table. If you follow tables such as the one provided by the National Institute for Clinical Excellence (NICE) below, you may be misled into thinking your blood sugar is in a healthy range if it falls in the pre diabetes range of 100-125 mg/dl. Note: The non-diabetic figures are provided for information but are not part of NICE guidelines. After meal blood sugar range is especially important because it tells you how much that food or meal contributes to the rise in blood sugar otherwise associated with the risk of diabetes complications. So, eating foods that trigger the least blood sugar spike after consumption are the healthiest choices. To avoid diabetes complications, maintain blood sugar in the non-diabetic normal range. These government recommendations are too high if your personal goal is to potentially reverse your diabetes and stave off associated complications. 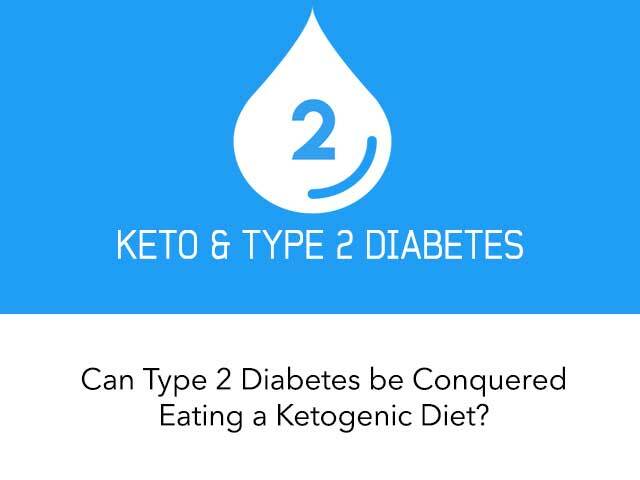 Can a Ketogenic Diet Help Put an End to Type 2 Diabetes? Available treatment options (diet, exercise, medication, and insulin therapy) help keep blood sugar in range. However, none compare to a ketogenic diet. The ketogenic diet (maximum of 50 grams of total carbs per day) is by far the best blood sugar management tool because the individual is not consuming sugar, or sugar from the breakdown of the digested carbohydrate, and therefore excess sugar is not circulating in the blood. In essence the underlying cause of high blood sugar is removed. In fact there are many experts that support this ketogenic approach for treating type 2 diabetes (5, 6, 7, 8, 9). Findings from a one-year randomized controlled study with obese type 2 diabetes volunteers was published in the American Journal of Clinical Nutrition. It compared a < 50 gram carbohydrate, 58% fat diet with a 53% carbohydrate 30% fat diet. Both diets produced weight loss and blood sugar improvements. 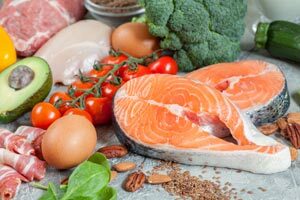 The ketogenic diet resulted in "greater improvements in the cholesterol, blood sugar stability (vs. fluctuations), and reductions in diabetes medication, supporting its use an effective strategy for the optimization of T2D management" (10). While some may voice concern about the significant drops in blood sugar for those on medication who follow a ketogenic diet, it seems working with a physician to lower and eliminate medication would be wise rather than avoid a natural nutrition plan that can normalize blood sugar levels (11, 12). When following a ketogenic diet, you should stay below 50 grams of total carbs per day. As evidenced in a study comparing a ketogenic diet (KD) consisting of 20 grams of total carbs a day — unlimited amounts of animal foods , i.e., meat, chicken, turkey, other fowl, fish, shellfish and eggs; limited amounts of hard cheese (e.g., cheddar or Swiss, 4 ounces per day), fresh cheese (e.g., cottage or ricotta, 2 ounces per day), 2 cups of salad vegetables and 1 cup of non-starchy vegetables) — with a 55% high carbohydrate but low glycemic index diet (HCLGID). It seems both had positive effects on blood sugar, yet the KD resulted in significant improvements in hemoglobin A1c and body weight and high-density lipoprotein (HDL) cholesterol as compared to the HCLGID group (13). For type 2 diabetes, what you don&apos;t eat is as important as what you choose to eat. While it may be confusing to read information from expert nutrition groups suggesting "Carbohydrates-Part of a Healthful Diabetes Diet" (14), understand that no matter what the portion, by its very nature carbohydrate will raise blood sugar. This is counterproductive to any healthy blood sugar goal. Consume foods containing proteins, fats and carbohydrates with 5-15 grams of carbohydrates per meal (non starchy vegetables, fat full dairy products, nuts and seeds). Keep in mind that large amounts of low-carbohydrate foods can spike blood sugar (tomatoes and tomato sauce, winter squash, berries, etc.) just like low amounts of high carbohydrate foods (starchy vegetables, bread, rice, pasta, cereal etc). Additionally, the diet delivery method (online vs. in person) does not seem to change the ketogenic advantage. Type 2 diabetics improved glycemic control and lost more weight when following an online ketogenic program when compared with a conventional, low-fat diabetes diet online program (15). When managing type 2 diabetes, know that monitoring total carbohydrate intake is a critical factor for tight blood sugar control. Consuming less than 50 grams of total carbohydrates on a ketogenic diet, while also paying attention to any carbohydrate portion size, can allow people with diabetes to maintain blood sugar within the normal range. The best way to control blood sugar is to avoid sugar and foods that easily convert to sugar after it is consumed, such as carbohydrate foods and beverages, like cereals, bread and bakery products, soda and fruit juice, fruits and starchy veggies (potato, peas and carrots, corn) rice and pasta. A ketogenic lifestyle is a powerful health optimization tool to help maintain normal blood sugar levels, lower or eliminate medication and reduce the risks of any medical health issues that occur due to uncontrolled blood sugar. The KetoDiet App can be a primary resource for those who want to be successful while utilizing a ketogenic diet as a support for weight loss and blood sugar control. To find the recipe within your carb ranges to specify allergy preferences, use the filtering tool in Recipes. Valerie is a Dr. Atkins trained registered dietitian and certified diabetes educator. She is acknowledged in his books, "Dr. Atkins New Diet Revolution" and "Atkins for Life". 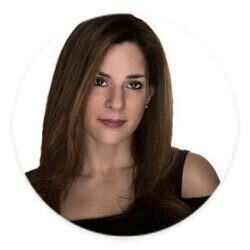 Valerie always says, "The ketogenic diet provides the most nutrient bang for the calorie buck" and so she uses this nutritional approach and personalizes it for all her medical, weight loss and athletic clients throughout the country. I am 67 and morbidly obese. I live with healthy people and do my own cooking. I am on a fixed income and have a very small fixed income. So far I have been on Keto for 6 months and have not lost a pound. I have not exercised because I have trouble walking due to arthritis in my spine. I eat a 3 egg omlette with cheese for breakfast, do not eat lunch and a dinner meal of usually 2 hamburger patties with cheese and a salad with ranch dressing. Sometimes I eat chicken or fish with salad. It is quit disheartening when I hear how most people drop a lot of weight. What am I doing wrong? Any suggestions? Or are you able to pass this to an expert? I don't have an e-mail for one. I also have been following a mostly Keto life style. I do feel however you should add low carb veggies to your plan. Most people who follow the Keto plan eat more low carb veggies than protein. 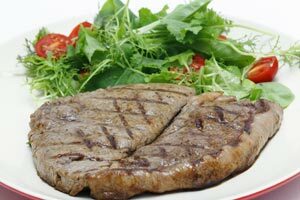 Sounds like you are getting too much protein which can also stall weight loss. Your plate should have at least 15 percent protein and 20 percent non starchy veggies like broccoli, cauliflower, spinach, cabbage, asparagus or mixed salad greens and 40-60 percent healthy fats like avocado to start. For instance your breakfast could be an omelet with veggies in it and add the cheese as well. Also, I would do some reading about the Keto diet because it is not just based on protein. It sounds like you are eating mostly protein and not enough fats or non starchy veggies. I was 274 when I started and am now 235. This happened over 4 months. Also, I did not exercise. My blood sugar and cholesterol has never been an issue yet. I’m sure you can find appropriate info on beginning the keto diet and what and what not to eat I this keto website. You say for a T2D carbs should be less than 50 per day. What is this in net carbs. I am type 2 and have brought my fasting blood sugar down to below 100 Haven't had A1C test done yet. I'm on Metformim at the moment and my goal is to get completely off of it. Hi Judy, that depends on what you'll be eating. Foods like avocado and nuts are high in fibre and low in net carbs while other foods like rutabaga contain less fibre and more net carbs. In general, 50 grams of total carbs would be anywhere between 25-35 grams. More information at: Total Carbs or Net Carbs: What Really Counts? I have been on Keto diet for 7 months. In that time my MD has taken me completely off of Glucophage 500mg 1 PO QD. My last A1c was 5.4. Most recently, my MD has dc’d Atorvastatin as well. My overall cholesterol lowered almost 40 pts and my good cholesterol has raised considerably. I have lost 50 lbs and feel great!! I’m a believer in the program and it is now our lifestyle! I found out in Jan 2017 that my A1C was 12.9. Fasting BS was 400. My doctor immediately wanted to start me on insulin. I refused. I was put on 1000mg Metformin twice a day and started eating "better". A1C in June was 7.5, then 7.1 in October. I found out about Keto this past November. Went all in. My blood sugar was then consistently under 100, so I stopped Metformin Jan 1st. I just got my A1C Monday, and it was only 5.2! I'm sold on this way of life. If I listened to my "doctor" I would be so much more unhealthy (and wouldn't have lost 35 pounds in 3 months either!) I have an doc appt today to go over results. Can't wait to hear what he has to say about MY turnaround! What a nice article to read! I have been on Keto for 9+ months now and I have brought my A1C down from 7.2 to 5.8! My goal is hopefully to get to pre-diabetic stage again and stay there. Not sure the doctor was convinced it was my way of eating but that's okay - slowly changing her mind on that! I have not been as strict as you suggest for carb count and I still have done a great job in bringing my numbers down. I also found that eating after 7:00 pm is not good for me! So I tend to eat really light if we have a late dinner planned or going to friends for dinner. Thanks for the article just reinforces I can reach my goal!